If you haven’t checked in for a while, I took last week off. While it was a rewarding week off, it was also one of the most stressful weeks of my life. We bought a new house and moving responsibilities fell on me. Still, it was totally worth it. The new house is awesome and the kids finally have their own rooms and tons of new areas to play! While I took the week off from work and design, I was not idle. 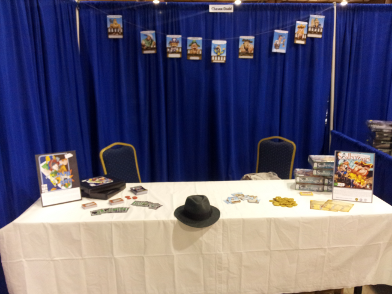 If you follow me on Twitter, you’ll know that I was at the 1st Annual WV Pop Culture Convention in Morgantown, WV. I had a booth there and it was awesome. I have traveled many hours to attend shows, and I always wish we had something closer to home. This show is about 20 minutes from my hometown! 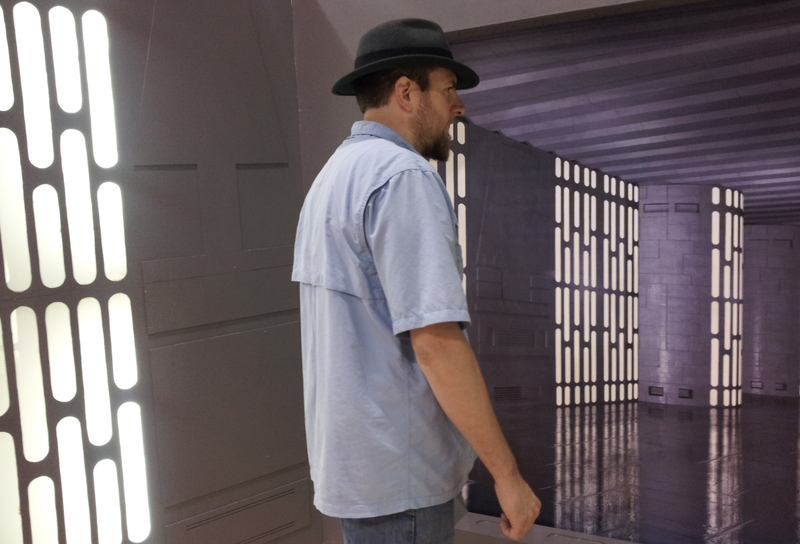 There was all sorts of awesome comic book stuff, and a slew of Star Wars… I was the only game guy there…. and I made some mistakes. If you’ve been to gaming shows, you’ll know that booths are typically laid out with demo areas as the prominent feature. Retail areas are mostly tucked in somewhere or product is just sitting on a small shelf somewhere tucked in, out of the way. This show was not a gaming show. There were lots of artists, a few good comic retailers, and some really cool collectibles booths. This was a retail show and because of that, I thought I was going to do alright as a retailer. The booth came equipped with an eight foot table and two chairs. I decided that I would put the table lengthwise across the booth and sit behind it, proudly displaying my wares. This was a mistake. While I did get a good deal of attention on Saturday, it was in passing. People would stop for a few minutes, and I’d quickly explain Scallywags and Paper Route and then they’d move on. I really didn’t have any way of maintaining their attention. The isles were not carpeted. The booths were not either. People were tired of standing and walking, so they weren’t spending much time in one area. My mistake. This show was primarily about promotion, but I would have liked to have made my money back on the product I took… so on Sunday, I decided to go full gaming con style. As you can see above, I completely changed it up for Sunday. I brought extra chairs and a few shelves to display the product. I turned the table sideways and made my area inviting. 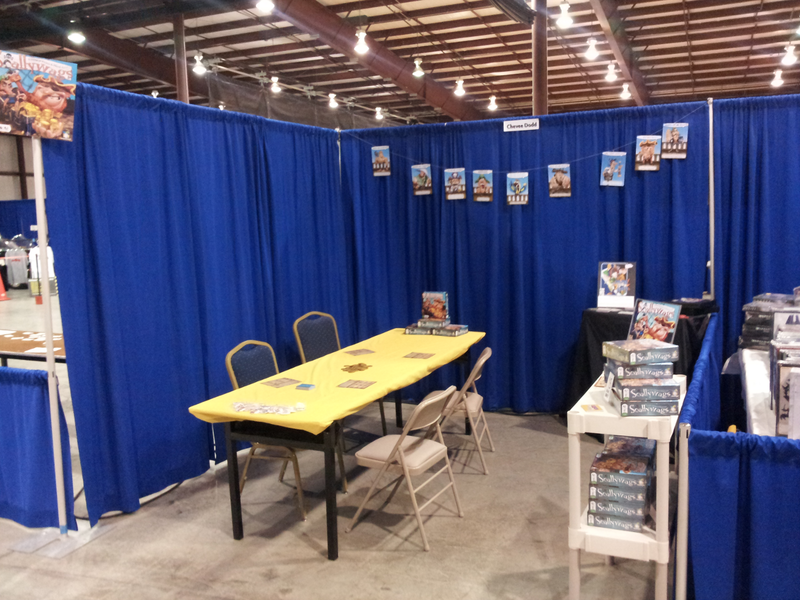 Essentially, I set it up like a game booth. Almost as soon as the doors open I had my first demo which led directly to a sale. I gave great demos all day to wonderful people that were thankful to have a place to sit for a while. My booth was busy at times and I had to split my attention between demos and answering product questions. This is what I came to the show for. You would think, after a decade of attending gaming conventions, I would have realized this from the start. I ran demo shows at booths for years and I’ve sat on the customer side of the table too many times to count. As a convention veteran, I was rather disappointed in myself Saturday evening, but I learned my lesson: treat every show as a gaming show, even if you are the only game booth there. The show was not a complete disaster. It really was an awesome experience and I can’t wait to do it again. 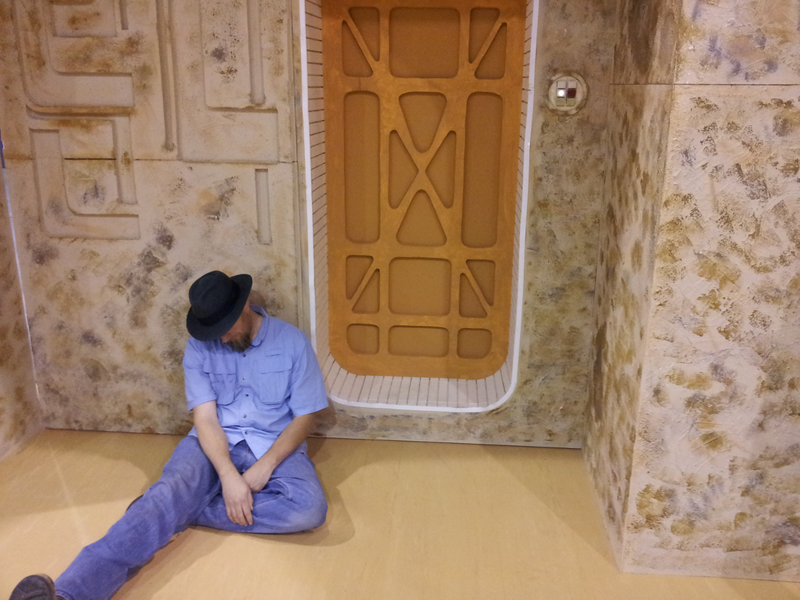 Next year I’ll be taking some form of carpet or padding for the booth, and maybe even offer free water or something. I want my booth to be the destination booth for relaxing and having a good time. Hopefully I’ll be able to get another game or two together to demo also! 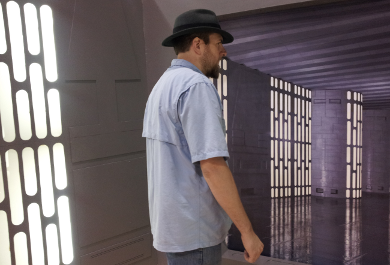 And here are a few pics of me goofing off with some awesome Star Wars sets the local 501st Legion and Rebel Legion put together. It’s been a little over two weeks since I have worked on any of my designs. My solitaire design, Vic Venture, was the focus of my attention before the move and I have some big changes in store for it. I hope to be able to wrap those changes up this weekend and let the playtesters go at it. Every one has been patient with me so far, and I want to keep the ball rolling while we have momentum! I think I’m ready to start shredding Dead End and make something of it. 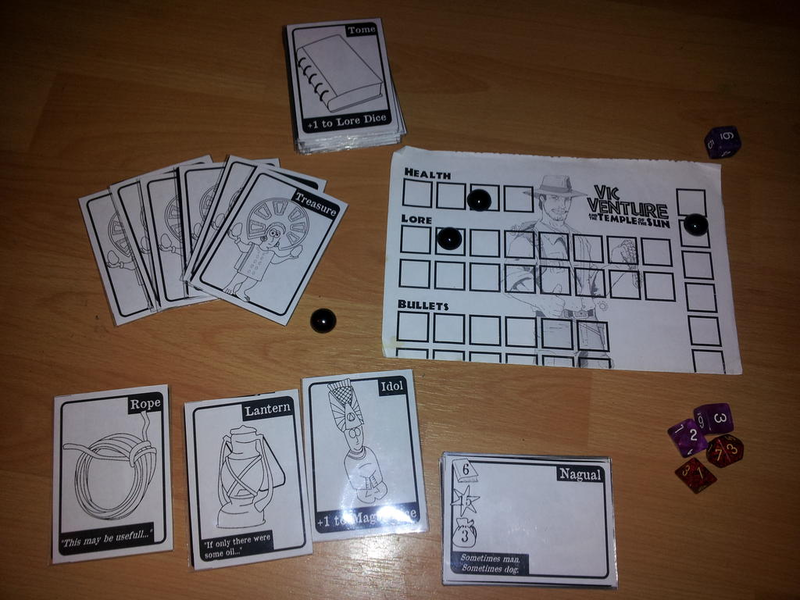 I had set a goal that I would like to playtest it at this weeks gaming session, but I think I’m going to delay that another week. I will take my time with the changes and make sure I’m satisfied before pushing my platesters to play garbage again. The latest version of Hexploration is ready to test, I just haven’t yet… not sure why. I want to get it to the table this week. I need to finalize Princess Dice and may ask for help on that this week also. There are a few cumbersome rules I want to eliminate and get the game running smoother with less confusion. I hope I can do that without turning it onto just another dice game. It has some unique mechanics that I want to maintain to differentiate it from other dice games. Besides all of that, I have two new designs bouncing around in my head. I have refrained from committing anything to paper because I want to wrap up or abandon some of the other projects first. One is the next Cardboard Arcade design, based on 1v1 fighting games like Street Fighter and Mortal Kombat. The second is an area-control wargame based on an old DOS video game, Warlords. I want to figure out a way to make a turn-based strategy/tower defense game that isn’t boring and long. The thing that Warlords had that is different is the ability for heroes to adventure to ruins and caves to find treasure, more heroes, or perhaps beasts and troops to join your ranks… this one is going to be a challenge!